The eternally beautiful Emily is ready to be right at your side. Or your shin. Or your arm. Forever. This original design inspired by one of Tim Burton's best claymation films is a favorite of mine. The design is about the same size as the Antique Alice piece; pictured here to show how well they balance one another. Note the ribbon/ribcage background and veil details. 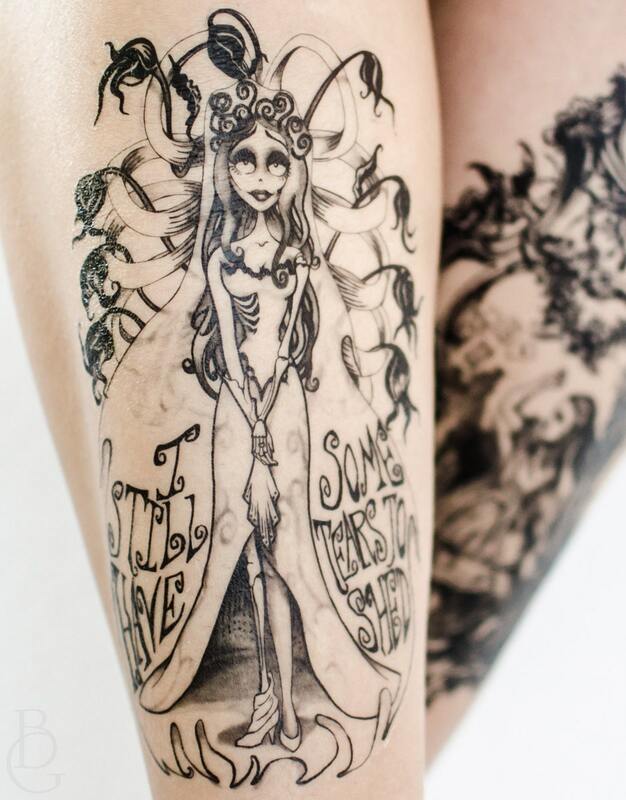 Seventh Skin is in no way affiliated with Tim Burton or Disney Entertainment, and respectfully strives to create inspired artwork that pays homage to the story and aesthetic.